There is a lot of problems that homeowners will face when dealing with appliances over time. Whether it’s normal wear and tear or there are circumstances beyond control, there is one thing that is for sure about all brands and models: they malfunction from time to time. This can be true for dryers as well as washers of all types. Even if you paid a great deal of money to get the best-reviewed item, you’ll find that life has a way of bringing you chaos from time to time. That’s not to say that you should expect the worst, but rather, it’s a warning to be ready to call a professional when you need gas dryer repair, electric dryer repair instead of just buying a new one when something goes wrong. We are reachable via both email info@appliance-medic.com and telephone: 845-617-1111, so if you’re interested in repairing or even maintaining your dryer, refrigerator, freezer, ice maker, please don’t delay to drop us a line. We have already handled dryer repair jobs of all of the sorts and never use anything at all but the best dryer repair parts and methods. When you call Appliance Medic you will be able to get expert advice as to what the issue that you’re having is, and whether or not it can be repaired swiftly. Most issues can be signs of larger problems and can be hard to assess without an experienced technician looking at the issue and seeing whether or not it’s a problem with the machine, connections, or something else. Consider some of the most common signs of something going awry with a quick checklist below. 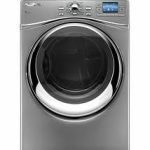 The above are just some of the issues that you’ll have to keep an eye out for, as they can be signals that something grave is going on with your Whirlpool, Maytag, Lg, Bosch, KitchenAid, Kenmore, Samsung, Miele, GE or Sears dryer. When those things occur, it’s best not to try and troubleshoot them on your own as that could lead to further problems. Even if you’re handy at fixing things, it’s best to seek out dryer repair from a professional that can look into some issues that you might not know about. It’s imperative that you don’t let any problems with your appliances drag on. You might not be keen on spending a great deal of money in these tumultuous economic times, but it’s far cheaper to have a professional come in and help you than to wait for something to break apart and cause you to then have a bigger issue. Instead of waiting, simply call a pro and tell them what’s going on- you’ll be surprised how much lower the cost will be than to replace a broken dryer completely. Do not replace your dryer when you encounter any of the issues mentioned above or when something seems to not be going right. The problem could be an easy fix that requires a few turns of the wrench or it could be a matter of changing a part. Get expert advice first and see if a technician can get to the root cause. Often times homeowners make mistakes when dealing with machines in their home thinking that they will only malfunction when replacements are needed, but that’s definitely not the case with many appliances. Whenever in doubt, call an expert.